It’s hard to believe that Halloween is here. Where has 2017 gone? Time flies when you are having fun, especially when you are having fun at ARIEL Theatrical! Most people associate ARIEL with the ten musical productions that are presented throughout the year, including shows like Stone Soup (November 3 & 4) and Narnia (December 1 – 16, Fridays at 7 pm and Saturdays at 2 pm and 7 pm), which will close out the 2017 Season. If you dig a little deeper, you’ll discover that these ten productions are just the beginning! Throughout the year, we provide three eight-week sessions of day time theatre classes for home-schooled students, all concluding with a recital showcase for family and friends. 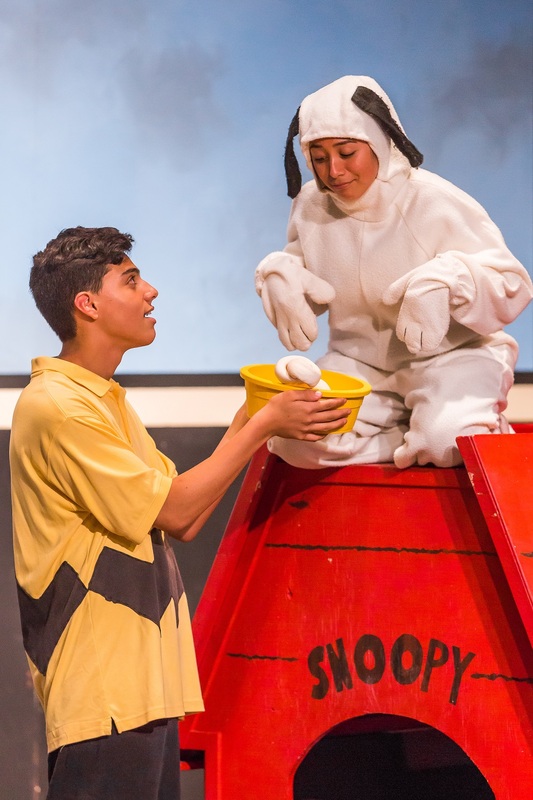 ARIEL is also branching out into the community even more with off-site theatre programs at several local elementary schools (Mission Park in Salinas, King in Seaside, Monte Vista in Monterey). This program has been extremely successful and could potentially grow to include eight schools in the very near future. Another highlight of each season is our partnership with Special Kids Crusade. REACH Theatre invites youth and young adults with developmental disabilities to team up with ARIEL mentors for five weekly rehearsals that culminate in a live musical for the entire community. REACH Theatre is a fabulous way to highlight the principles that ARIEL teaches and encourages, as young volunteers create an atmosphere where all participants, whatever their challenges, can bring their very best to the stage. Special Kids Crusade recently released a REACH Theatre Behind-the-scenes documentary that captures some of the joy and inspiration that is created with this special group of kids. ARIEL Theatrical makes attending live performances possible for many in our community through the Outreach Ticket Program. Thanks to generous funding from organicgirl, ARIEL is able to provide complimentary tickets to several child and youth advocacy organizations, along with other underserved populations. This program has connected ARIEL with many young people who may not normally have the opportunity to attend such events. ARIEL Theatrical really does a lot more than produce a few musicals each year. Our mission-focused programs benefit our participants and our audiences on many levels. We hope to increase our impact and broaden our reach as we enlist the support of local businesses and foundations. Check out our sponsorship packet and join our growing number of community partners. We can’t wait for 2018! See you soon at ARIEL Theatrical! Experience a day in the life of Charlie Brown and the rest of the Peanuts Gang as they ride the roller coaster of life, with all of its ups and downs. With music and lyrics by Clark Gesner, audiences of all ages will embrace this patchwork of vignettes. Watch as the drama unfolds and important life lessons are shared through the clever, heart-warming and hilarious wisdom of your favorite Peanuts characters. As Snoopy and Linus daydream, Charlie Brown can’t seem to get the attention of the Little Red-Haired Girl. Misunderstandings and misguided advice add to the witty banter, and everyone learns that happiness is all around if you know where to look.